CHEVY100, An American Story is a feature length (85 minute) ride through Chevrolet’s amazing 100 years on the road. Not your traditional history, this film shot all over America features drivers, collectors, restorers, designers, race car drivers, and journalists, people who live and breathe fabulous cars. We go right back to the beginning of the auto industry where audiences meet Louis Chevrolet, a Swiss race car driver, who was as famous then as Dale Earnhardt is today. Viewers will be surprised when they learn that Chevrolet quit the company that bears his name after just a year and a half over a disagreement about smoking cigars and cigarettes. And the battle between Chevy and Ford? It’s been going on since day one. Marketing innovations also span a century: the 1916 Chevy 490 was given that name because that was the cost of the Ford Model T. Viewers see the genesis of the Corvette and the Corvair, how Mustang spawned Camaro, muscle cars, tri-5s, low riders and rat rods, Indy and NASCAR. We’re in the Austin garage of the Voodoo Dolls, a highly tattooed, all-girls car club, who get greasy pulling the radiator from a ’51 pickup. We meet a Pennsylvania couple who met, got married and had six children all because of their Chevys. Over a hundred low riders show off their incredibly tricked-out wheels in Phoenix at Encanto Park, the same place where owners were once arrested if they showed up in chopped rides. Workers who lived through the “undeclared bankruptcy” of the 1990’s – and the real one in 2009 – tell us how they got through it. And it’s clear that Chevrolet is the quintessential American brand after watching classic clips like Dinah Shore singing See the USA in Your Chevrolet, American Graffiti, Route 66 and Transformers. 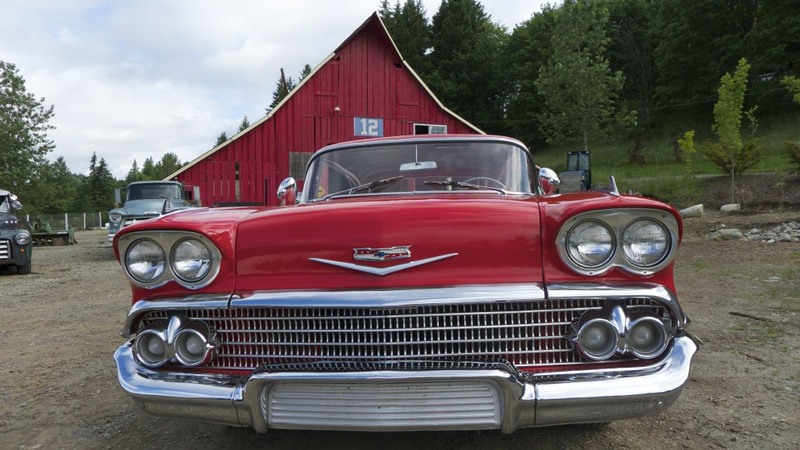 A history of Chevy wouldn’t be complete without great rock-and-roll including 409 by the Beach Boys, American Pie by Don McLean, Low Rider by War, and Magic Carpet Ride by Steppenwolf. CHEVY100, An American Story is a wild ride.